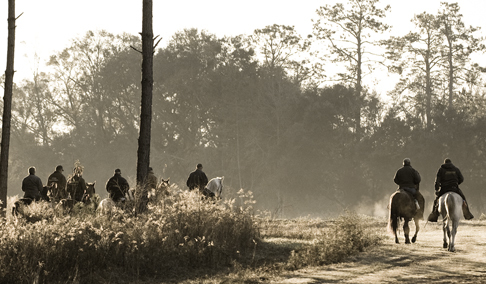 An hour east of Tallahassee, Florida, just a short hop from Thomasville, Georgia in the heart of the Southern quail hunting culture, Dixie Plantation has figured prominently in pointing dog history since its inception in 1926. There, the time-honored traditions of wild bobwhite quail, fine bird dogs and field trials converge. Home to the Continental Field Trials — the prestigious annual all-age championship and its companion derby feature — Dixie has been the proving grounds for generations of class pointing dogs. 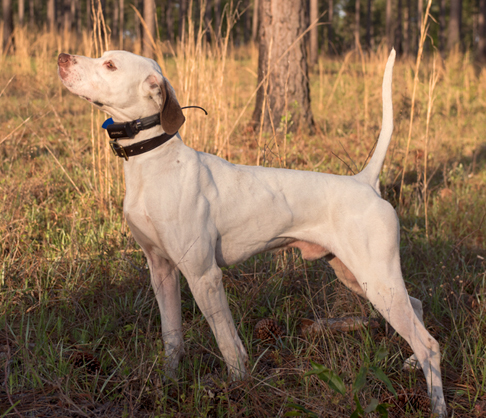 Especially today, when wild quail venues are in short supply and opportunities for testing the mettle of dogs on native game are fewer than ever before, the Dixie Plantation and the Continental trials have an important role in setting the bar for the ongoing improvement of the breeds. 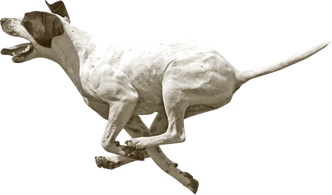 Each year, this event showcases the country’s top performance pointers and setters, dogs whose drive, speed, range and endurance represent the highest degree of bird dog standards. Recent acquisition of the property by Tall Timbers Research & Land Conservancy ensures that these valuable grounds with their wealth of bobwhite quail, and the sporting traditions upheld there for so long, will survive for years to come. In a world of constant changes, Dixie has endured in its various forms for more than 200 years. The boll weevil ended her first incarnation as a cotton plantation, known as The Cedars, after almost a century in the ownership of one family. Sold in 1919 and renamed the Georgia-Florida Farms, the property continued briefly and unsuccessfully as a cotton cooperative until its purchase in 1926 by a coterie of northern speculators. But when plans to establish Midwestern farmers on small allotments within the whole fell through, that endeavor was also abandoned, and one of the group’s initial investors bought out the rest. An avid sportsman and gentleman quail hunter, New York financier Gerald M. Livingston had a passion for fine bird dogs, field trials and southern-style wing shooting. He also had a grand vision for these 7,500 acres straddling the red hills of the Georgia-Florida line on the northern edge of the Gulf Coastal Plain, and it did not include cotton. Acquiring more acreage from adjacent plantations and numerous, neighboring patch farms, Livingston expanded and developed his original holding into some 18,000 acres of prime bobwhite quail habitat, which he called The Dixie Plantation. 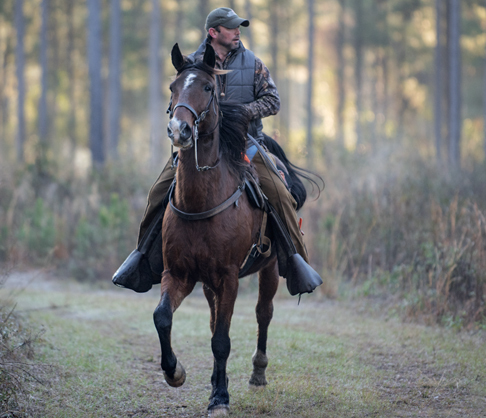 He perceived in this region of longleaf pine tracts, sand hills and small, mule-worked fields a milieu eminently suitable as a proving grounds for class pointing dogs, and sought steadily to improve it as such. Though the grounds supported an amplitude of game and had plenty of territory over which a big running bird dog might effectively demonstrate its abilities, the early character of the Dixie Plantation constituted only a rough version of the carefully husbanded quail paradise that would evolve through Livingston’s vigilant attention and advanced conservation techniques. Bit by bit, improvements were made and facilities were installed. Meanwhile, the venerable Continental Field Trial Club, established in the late 1800s to promote pointing dog excellence, had rapidly gained stature as an upper-echelon institution and was attracting the major contenders of the day to considerable public acclaim. Without permanent headquarters, the Continental program was conducted at various locations around the country. Livingston monitored developments with interest, and assumed presidency of the club in 1936. No one place had fulfilled all the requirements of the Continental Club for the running of its trials until Livingston offered his Dixie Plantation, situated about 12 miles south of Quitman in southernmost Georgia and rambling well into Florida’s Jefferson County, as a permanent home in 1937. The courses, however, were not yet to his liking, and the first of the Continental trials were not run at Dixie until the following season. Between eight and ten thousand fenceless acres within Dixie’s sprawling bounds were designated for the Continental’s use that inaugural year. It was exacting country. Its briar-covered red hills, sandy footing and warm-weather latitudes demanded the utmost qualities of heart, nose, stamina and drive from dogs. By the 1938 renewal of the Continental Subscription Stakes at Dixie, it was noted that an average of forty native bevies were moved in a day’s work, the birds being evenly distributed and quail feed seen in abundance. In later years, covey counts would soar to unimaginable totals in the three-digit range, and contacts of fifty or less bevies per day provoked apologetic response. By 1939 Livingston had further refined Dixie as a first class field trial venue, and had secured for his club the Continental All-Age Championship, renowned to this day as one of the most stringent tests put to a bird dog. Contenders in the qualifying portion of the Continental must run, hunt and handle wild bobwhite quail to all-age requirements in a preliminary one hour brace. From this initial competition, the coveted award of Top Qualifying Dog is presented. Those deemed to have delivered the most worthy performances in the qualifying stake are then called back for the hour and fifty minute finals. The extended duration of the call-back series, coupled with arduous ground conditions, pose discriminating challenges, both physical and mental. Tough on man and beast alike, the Continental Championship spares the weak no quarter. The names of the great dogs and handlers on its victory rolls ring down through the years like the dignified tolling of bells. It takes an extreme bird dog to prevail in extreme circumstances on wild birds against a field of the season’s best. These are the dogs that, having proved their merit beyond doubt, may be relied upon to strengthen subsequent generations of their breed for the overall good. Mrs. Eleanor Livingston took over her husband’s role at Dixie and with the Continental Club upon his demise in 1951. At her death, the Georgia side of the plantation went to other family members. The Florida portion with its related duties and traditions passed to daughter Geraldine, who continued her parents’ mission with dedication and enthusiasm. Diagnosed with inoperable cancer in 1993, aware that the future of her beloved Dixie and the Continental trials was at stake, Geraldine made plans privately to create the Geraldine C.M. Livingston Foundation, leaving Dixie as a haven for wildlife and a permanent home for the trials. Dixie has shared her abundant resources with the public through select programs and events. Her fields, forests and wetlands have provided living classrooms for students of forestry, agriculture and environmental sciences. In line with Geraldine’s wishes to preserve Dixie in perpetuity, all but 225 of the plantation’s 9,100 Florida acres were placed in a conservation easement in 2009 to further safeguard Dixie’s integrity, an action that guaranteed the protection and conservation of her varied wildlife and ecology going forward. In December 2013, with the approval of the Suwanee River Water Management District, who holds the conservation easement, the Geraldine Livingston Foundation gifted the Dixie Plantation to Tall Timbers Research & Land Conservancy, enabling this world-famous conservation and wildlife management entity to expand its important research efforts. Under the aegis of Tall Timbers and the newly formed DP Research LLC, Dixie now operates as a subject property for the study of wild bobwhite quail and the intense management of a sustainable ecosystem to benefit endangered native species. Information gathered in this ongoing process will assist with both public and private habitat improvement interests. These most recent transitions, in our changing times, ensure that Dixie’s vast expanse of scenic beauty and native wildlife habitat will never be divided, developed or sold. 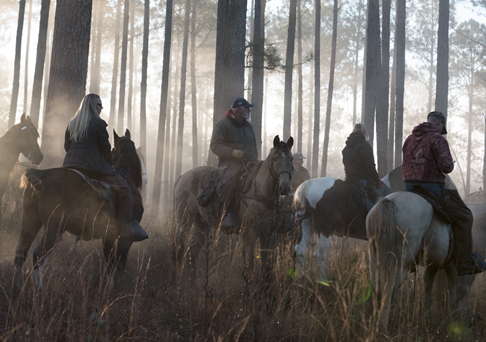 Dixie now faces the future with her tradition of land stewardship intact. Her miles of sand roads still wind beneath over-arching live oaks draped with Spanish moss. 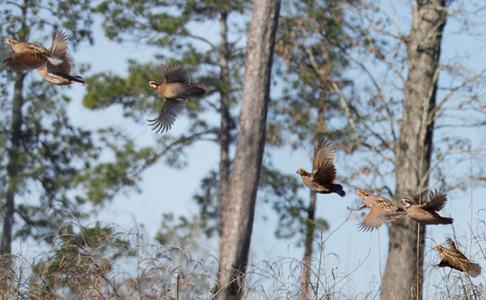 Her piney woods and open fields, unfolding to distant wetland borders of the Aucilla River drainage, still echo with the sweet call of the bobwhite quail. And here, where the legendary bird dogs of the ages have laid their mighty tracks, and where many an epic race has impacted the breeding of future, and better bird dogs, the deeply rooted tradition of the Continental Field Trials continues as it has since Gerald Livingston first opened the gates of his Dixie Plantation for that very purpose, more than 75 years ago. Gallery looks on during an early morning find and back on the first course at Dixie. A covey of wild Bobwhite quail flushes. 2016 Continental Winner, Erin’s Wild Justice handled by Luke Eisenhart. This story written by Barbara Teare, photographs by Chris Mathan appeared in the 2016 Winter edition of Covey Rise Magazine.